There are just some projects that can’t be shared before Christmas and this was one of them! 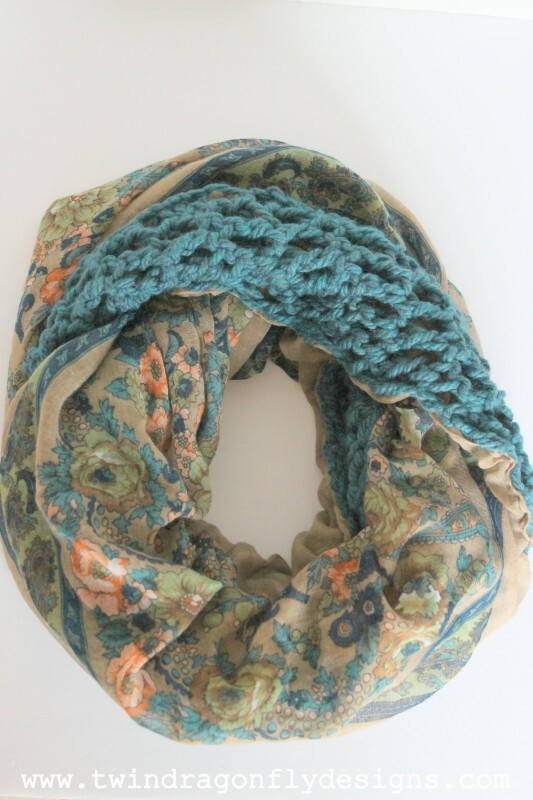 I gifted most of the women in our family with one of these gorgeous Crochet Chiffon Infinity Scarves. We have fallen in love with them around here! 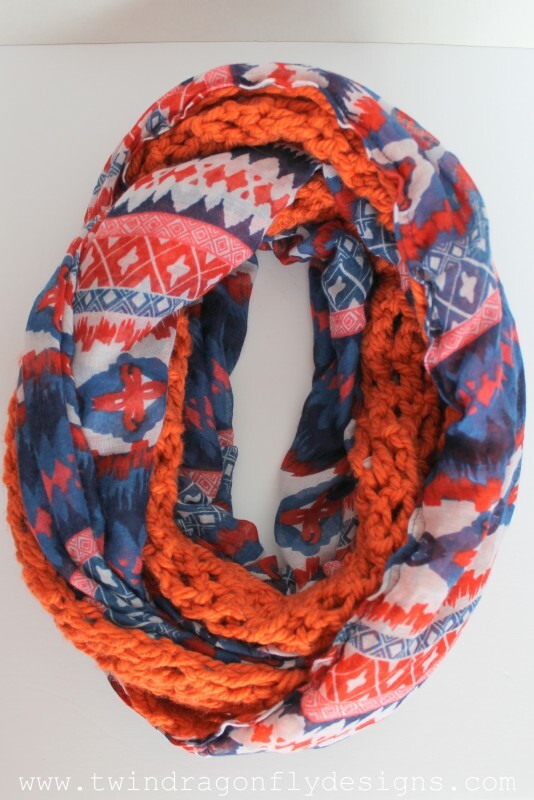 One of the ladies in my class was wearing something similar that inspired the creation of about a dozen of these totally unique scarves! I have even made a few extra to stock in my, no longer empty, esty shop (with more coming soon)! Whoop! 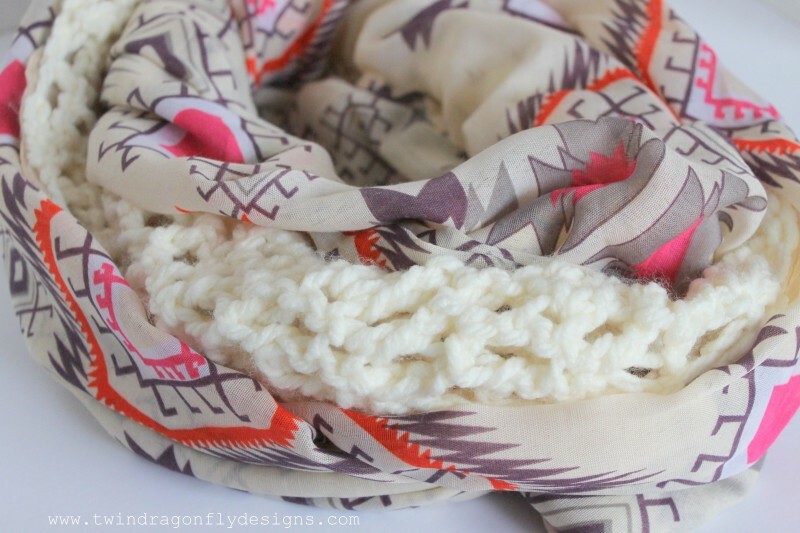 I simply created a crochet infinity scarf pattern, made a few crochet scarves and sewed the crochet scarf to a chiffon scarf. Voila! 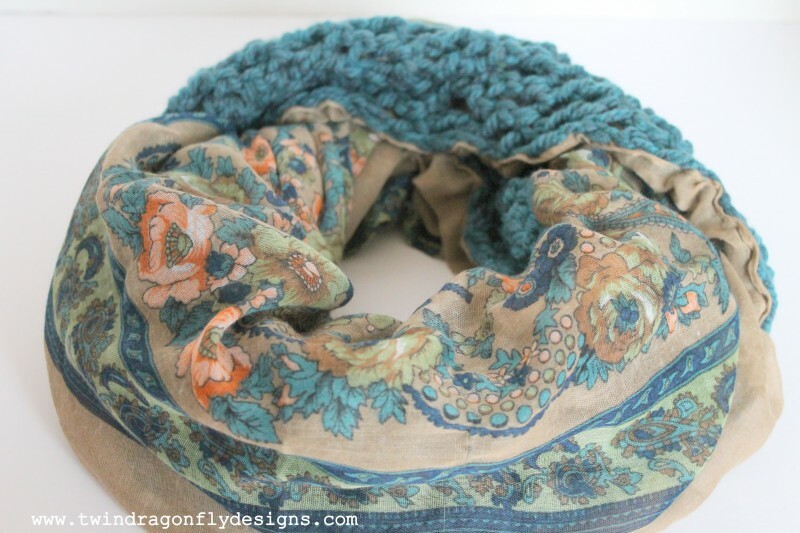 A beautiful wrap scarf for nearly any occasion. 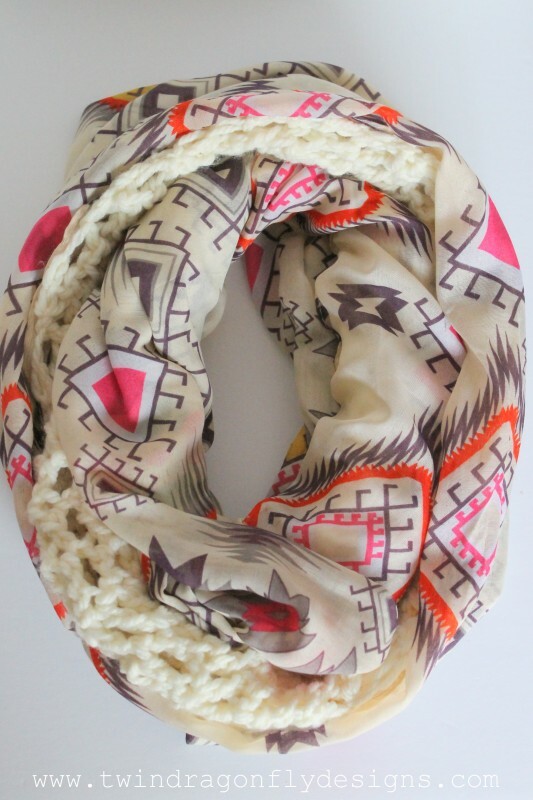 This one just happens to be in the shop (and is one of my favorites). 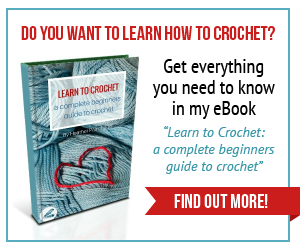 I will be sharing the tutorial and crochet pattern soon if you want to create one of your own. Or visit Twin Dragonfly Designs on etsy to get the latest creation delivered right to your door. This beauty was gifted to my Mom. This cream tribal version was given to my sister. 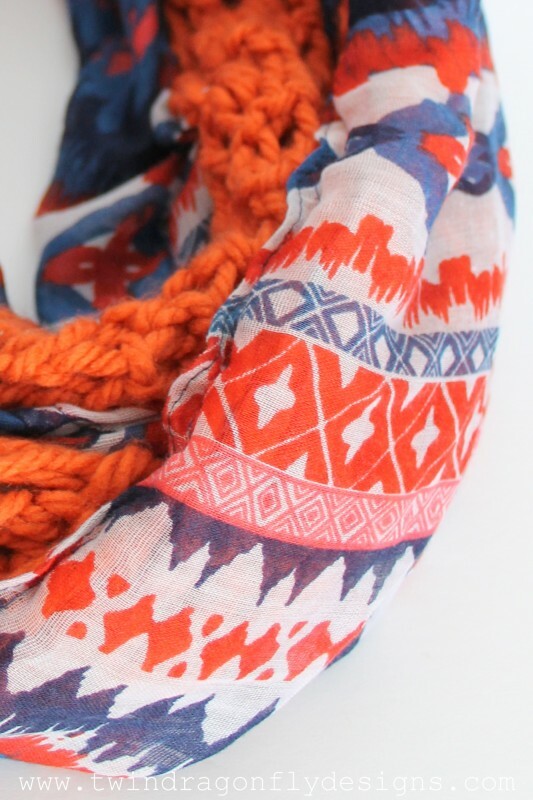 This orange tribal scarf is my absolute favorite so far! It didn’t last even 24 hours in the shop before it was sold. Were you keeping a few homemade gifts a secret too? What were they? 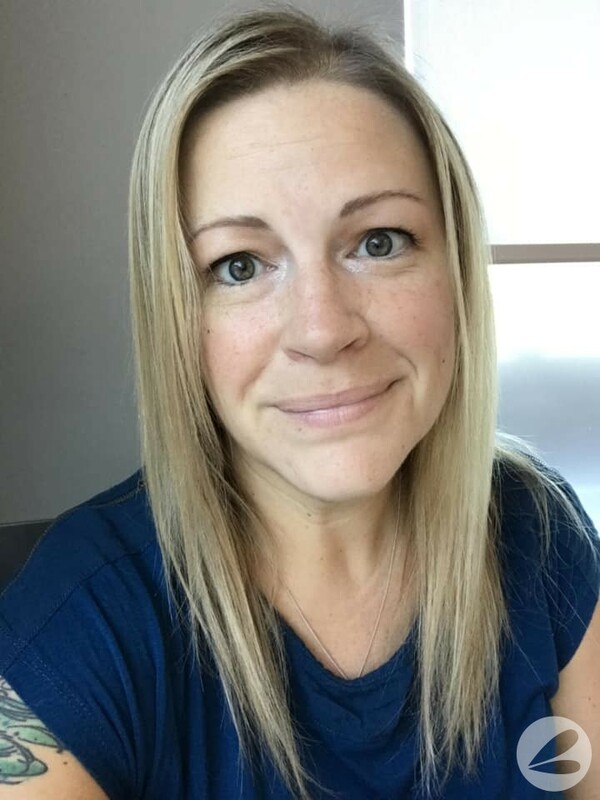 Hi Heather, I just came across your blog today. 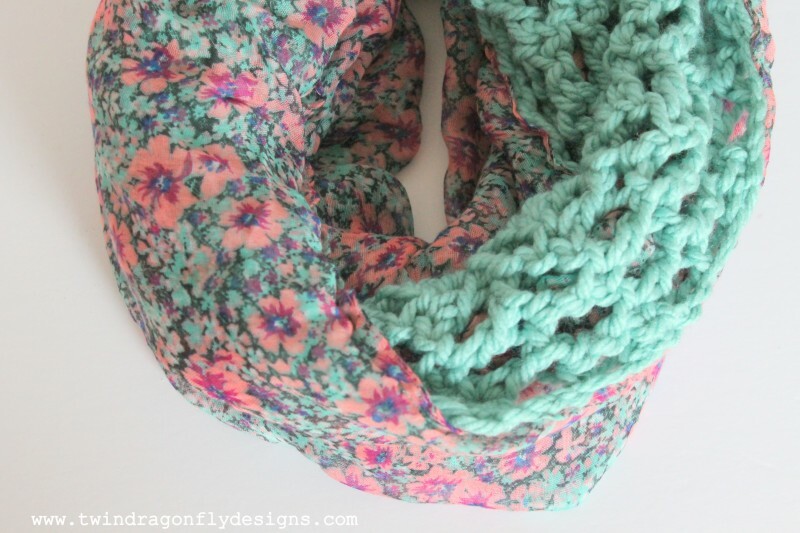 I love this idea and I can’t wait until you share your tutorial as I love to both sew and crochet! Thank you so much, these are so beautiful!! I just bumped into your site today. 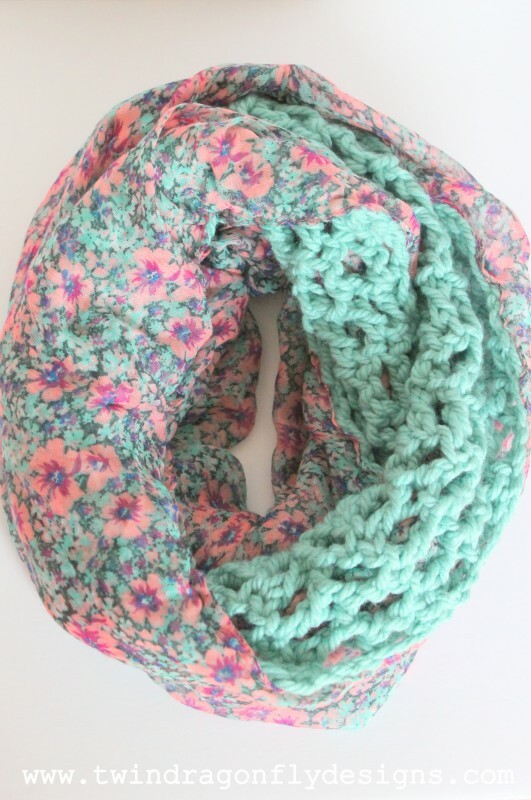 Love the crochet chiffon infinity scarves. Waiting for the tutorial to make one for myself.